I am not an Introvert. I am not an Extrovert. I am an Ambivert. - Know more about us! Trust me it’s not your fault. Maybe some of you saw me when I was engulfed with introversion seeking solitude, while some of you saw the extroverted version going out in the world. 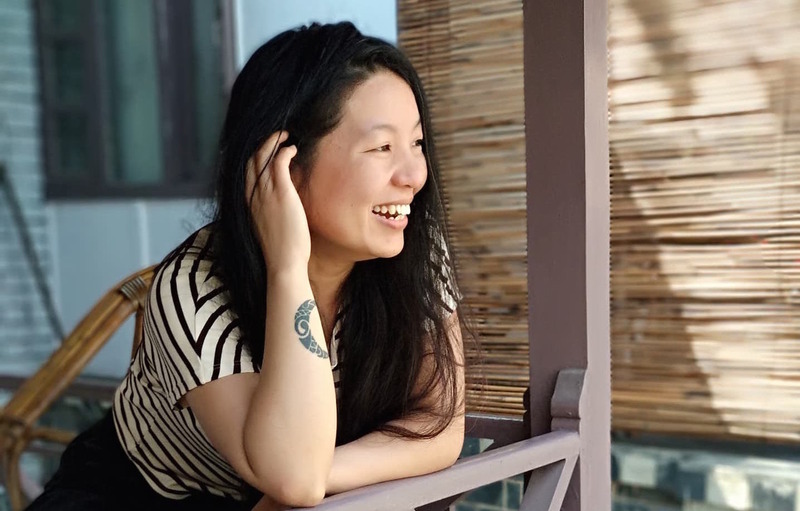 Most people I met and friends I made during my early twenties know me as a friendly and outgoing girl. Lately, I have been realizing that I was just trying to be more social and more ‘happening’, pretending to be who I am not. We love to be with people and other time all we need is to be left alone. We love to be with people. There are days when we want to go out and party. We will just get along with everyone around us. And there are days when we just want to be with no one but ourselves. We may not answer your calls or texts and we will cancel all the plans. We just want to keep our nose in our books and listen to our favorite songs. And we cannot explain why we want to be with people or why we want to be home. Maybe we need to keep balance to get going. We live in our ‘palace of thoughts’. Making a decision is our internal battle. Most of our friends call us indecisive but they won’t understand how difficult it is for us to make a decision. Whenever we have to decide, we have a constant battle going on in our heads. We cannot simply decide on what we want to do. We are just not sure whether we want to stay home or go out. This is why we take a longer time to decide and trying to make a decision often wears us out. Nothing is wrong with us; we just want to stay in. When we are having a highly introverted day, we just want to stay in. There is nothing wrong with us and we don’t hate anyone. We just want to be with our books and laptop on those days. Even if you manage to get us out, we will never be mentally present there. In our head, we are just home with our books. We can go to new places and meet new faces but we need someone by our side. We love to go new places and meet new peoples. But to do so, we need someone by our side. If we are to be at a new place among new faces, then probably we will just be at the corner making an escape plan. Also, we will never start a conversation of any sort. But we will reply to the questions we are being asked. We like to be alone without being lonely. Being alone is the moment of bliss for any extroverted introvert; we can spend a whole day without actually talking to anyone. We love being by ourselves, reading books, doing whatever we want to, binge-watching movies/series or anything that doesn’t require social involvement. However, some days we get bored at home and need to go out, see some friends. And we know, it’s confusing. When one-on-one, we will talk our hearts out. Though we are often quiet in big groups, we will talk for hours in a one-on-one situation. One-on-one communication is our favorite type of interaction. We love to spend time with people that are in our inner circle and talk about things of our interest. Among many things that exhaust us, maintaining a friendship is one. Making a new friend isn’t a problem but maintaining that friendship is. All we want is a small bunch of true friends that do not need timely hangouts, does not make demands and complains. The kind of friendship that needs regular maintenance is exhausting for us. If you are in our life, you are the chosen one. We are there for anyone who needs us but there are only a few people that we really need. We are very selective when we have to let anyone in our personal life. We take things deeply and we love hard. We try to keep ourselves away from unnecessary nuisances; hence, we are very selective about getting someone into our inner circle. We are flexible and maintain balance. 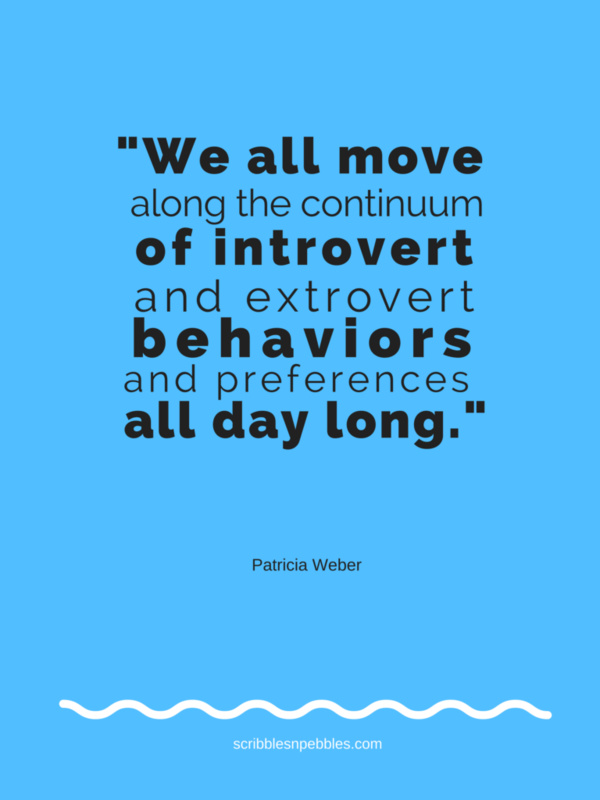 Since we exhibit traits of both introvert and extrovert, we are the best. We can go out to a party or have couple drinks at home and watch a movie. Since we are not good at making decisions, we let others make the plans. Also, we can maintain balance in the group of extroverts and introverts. We are full of empathy. Since we think so much, we tend to look at things from all possible angles. Before making an assumption, we spend time analyzing. We can easily put ourselves in anyone’s shoes and think how they would think or act. We find small talks boring. Coffee shops and cafés are the best places for us, surrounded by people yet keeping to ourselves. After socializing, we need time to recharge. That may be few days or weeks; nobody knows. Now you know we don’t have problems to go out, meet new people and hang out. Along with that, we’d like you to know one more thing. We need time to recharge after we socialize. Socializing drains our social energy. After going out on Friday, you may not hear from us on Saturday or even Sunday. Nothing’s wrong with us and we are not mad at you. We are just recharging. What are you thinking? Are you trying to relate to yourself? If you can relate, you are just as ambivert as I am. 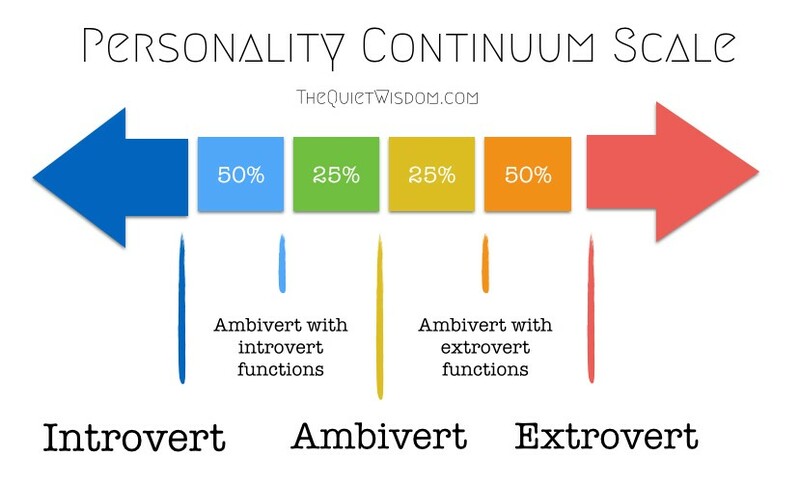 You don’t need to be surprised, most people are ambiverts and rests are strong introvert or extrovert. Let’s just celebrate our ambiversion. Thanks for writing this post. There is not a lot written about ambiversion. 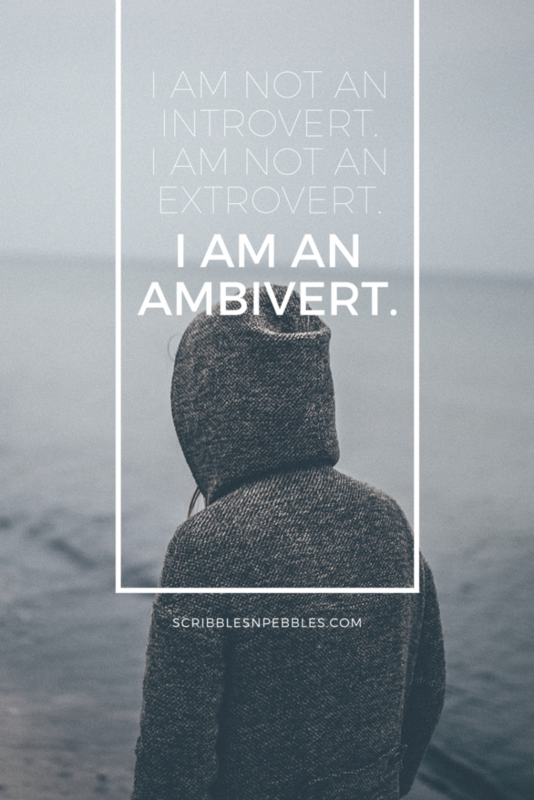 We are all ambiverts. Personality is partly genetic and partly environmental. And our personalities can change over time. While taking the MBTI training last year I learned that there are actually 5 facets that describe E – I: whether or not we prefer to initiate or receive, prefer to be expressive or contained, prefer to be gregarious or intimate, prefer to be active or reflective and prefer to be enthusiastic or quiet. Our personalities are mutli-faceted and that is what makes us interesting. Wonderful article! I had never heard of ambiversion and your words could easily have been mine. How true that we are always in flux between I-E. Thanks for posting. Yeah, like I mentioned, most of us are ambivert. It’s just the matter of time until we realize it. It’s wonderful to know that there are more people who feel like me.